ESN Austria has been a part of the Network since the early 1990s. The first National Representative (NR) of Austria was already active by 1992. 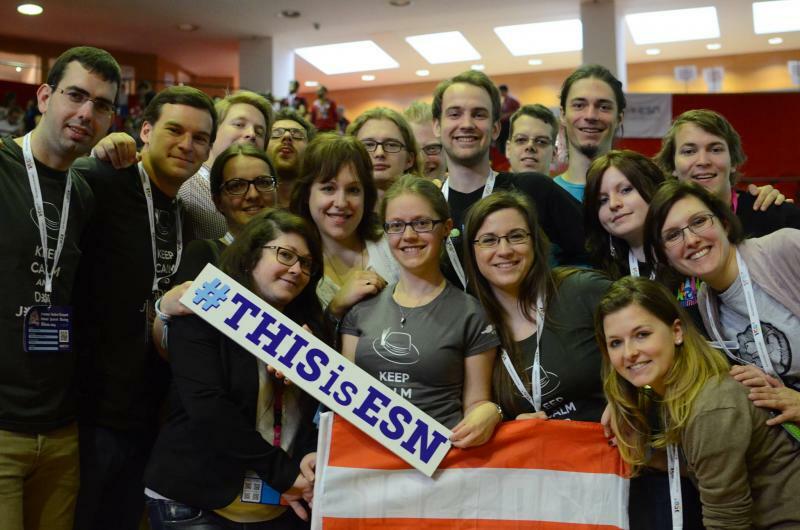 The first ESN sections were founded in Graz (University of Graz, Technical University of Graz) in the same year. Today, we consist of 16 sections all over Austria ranging from the early Graz sections to young ones like ESN Technikum Wien, which was founded in 2015. You can find a detailed list of them here. ESN Austria is a registered association, headed by the National Board, which is made up of six members. You can find further information on them here. Our general meetings with the sections take place four times a year in which we discuss national and international projects and set the upcoming action plans for our association. We organise two National Events, our very popular Ski Event in both, the Fall and Spring Semester, as well as our Summer Event in the Spring Semester. For our Ski Event, we even had German ESN sections joining us in the past. ESN Austria also participates in international ESN projects such as the ESNcard or Social Erasmus. Further information on them can be found here. ESN Austria has not only been making a national impact, some of our (former) members have also been taking up important roles and projects on the International Level. On both national and international level, Christoph Graf was one of the initiators of the ESN Card Project. He was also busy setting up new sections both in Austria and abroad. There have been two IB Presidents from Austria: Stefanie Kothmiller (2001–2002) and Elke Resch (1998–1999). Katharina Ma was IB Vice-President between 2012 and 2013. Marco von Frieling has been active within the IT committee and helped setting up the ESN Website Server Satellite 4.